There is no need to hug the trees at the Arboretum to keep them warm this winter, they will be wearing knitted and crocheted scarves instead. Warm trees is the largest installation of knitwear on trees in the world, and the installation will also feature the largest knitted flower in the world! The Government is celebrating how great it is to live in Canberra during winter by throwing a Hurley Burley Winter Party in Civic this Friday, featuring some great local music, and dance and performance art shows. 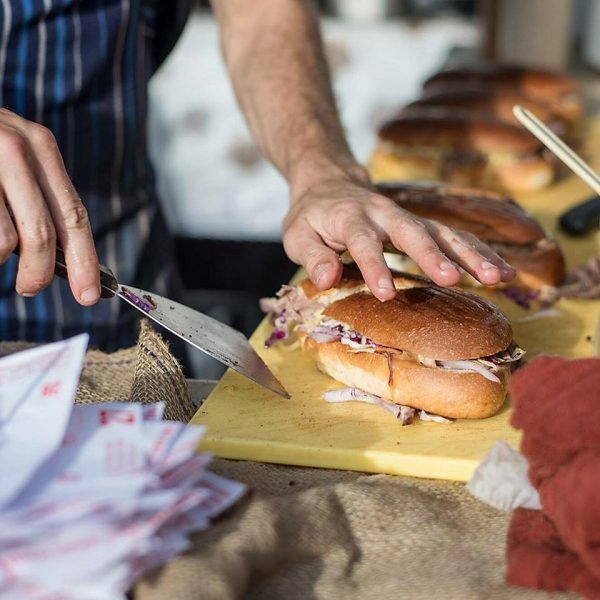 The Forage is popping up on Saturday to celebrate local food, drink and produce. Why so much celebrating this weekend? Well, it is the end of the financial year and the start of the Tour de France. Two reasons right there, I’m sure you could find more. 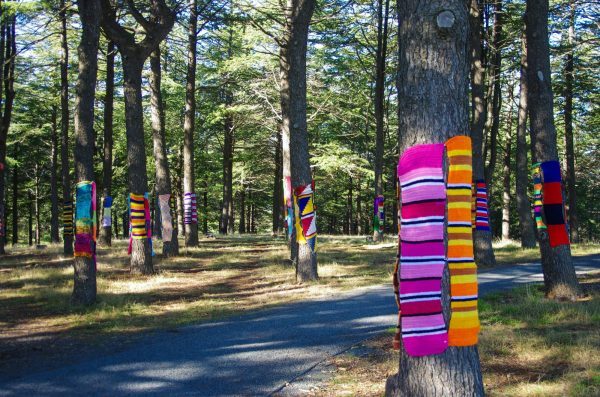 The colourful sight of trees wrapped in bright woolly scarves returns to the Arboretum this weekend. Warm Trees is the largest installation of knitting and crochet on trees in the world, and this year as well as knitted scarves there will also be large cherry blossoms and huge flowers hanging from trees in some of the forests and in the Village Centre. The centrepiece of the installation will be the largest knitted flower in the world in Yoshino Cherry Forest (Forest 17). The scarves and knitted flowers have been made by many crafty volunteers from around Australia and even as far as the UK, ranging in age from school-aged children to 104! Accompanying the installation will be an exhibition of cherry blossom scenes from around Japan on display in the Village Centre, and during the school holidays there will be drop-in knitting and origami sessions. This weekend and all through the school holidays channel your inner palaeontologist and head to the Botanic Gardens to see dinosaurs. Discover life-sized dinosaurs in the landscapes that they once inhabited, feel a fossil in the Visitors Centre, and learn all about the supercontinent of Gondwana. Educational and active. 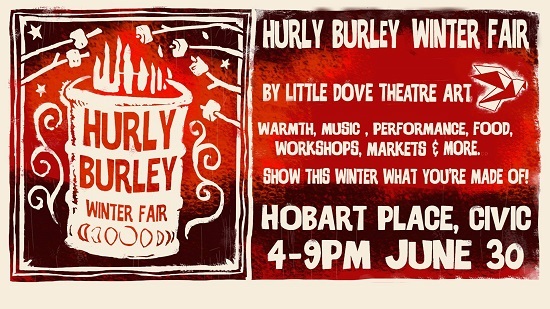 The ACT Government is celebrating winter by putting on a Hurley Burley Winter Fair in Civic this Friday. Head down after work to sample some locally made sweet treats and grab a warm drink from the bar. Entertainment will include live music by the East Row Rabble and Kristobelle and the Southern Jubliee Ringers, a magic show by Nomad the Magician, a dance show by The Australian Dance Party and performance art by KREWD Ensemble. There will also be face painting and a jumping castle for the kids. Warm your fingers and toes by a fire while toasting marshmallows and listening to some of Canberra’s best poets and storytellers spin a yarn. Experience the sights, sounds and smells of the Botanic Gardens by night on a guided tour around the Gardens. The evening starts with a delicious hot chocolate, then make your own ‘firefly lantern light’ to illuminate your way on this ranger-led tour. Suitable for adults and children over five years, book tickets here. Goodspeed, Canberra’s own manufacturer of hand-built, steel frame bikes is hosting its monthly bike swap meet this Sunday. So if you have bikes or bike parts that are cluttering up your shed, or you’re looking to add more bikes or bike parts to the collection in your shed, head down to this monthly market. Second hand, spare, rare, collectable and vintage parts will be for sale and there are no fees for setting up your wares. There’s also a nifty looking letter press printing workshop on at the National Portrait Gallery tomorrow for kids aged 9–12.